Although there are ways of messaging people with the Apple Watch — either with Siri dictation, or using pre-written responses and emojis — as far as I know, no-one has yet come up with the perfect method for typing and sending messages from the device itself, without needing to whip out your iPhone to help do so. That’s exactly the problem Patryk Laurent, cognitive scientist working at the Brain Corporation in San Diego — and an avid Apple Watch fan — has set out out to solve. 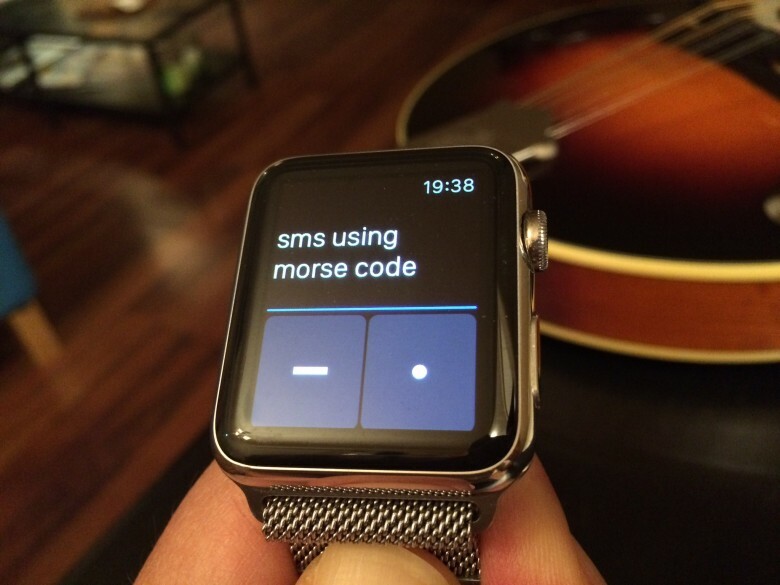 His solution is a nifty homemade app, which allows users to input their messages using Morse code.